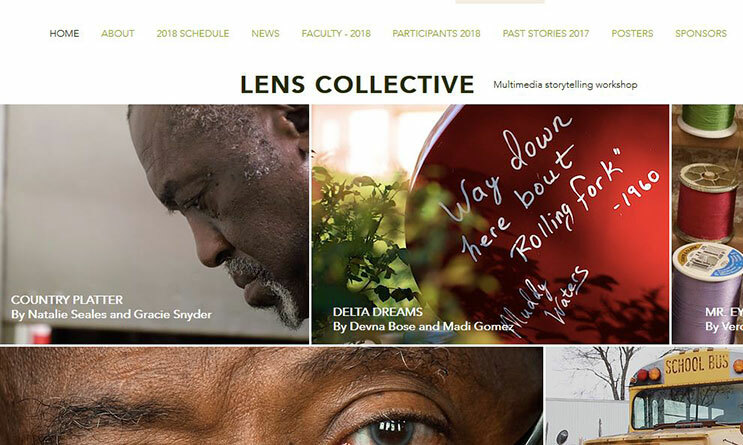 The Meek School of Journalism and New Media hosted the Lens Collective – an annual multimedia workshop that involved collaborations with mentors, students and eight universities – March 28-31. The 2018 focus was stories about Civil Rights in the Mississippi Delta. Three distinguished guests mentored students and presented their work. They are Smiley Pool, a Pulitzer-Prize winning photojournalist from The Dallas Morning News; Eric Seals, a nine-time regional Emmy Award-winner from the Detroit Free Press; and Josh Birnbaum, an award-winning photojournalism professor at Ohio University and author of the newly released coffee table book Dream Shot: The Journey to a Wheelchair Basketball National Championship. Students took a bus tour in the Delta, enjoyed dinner with the people they documented and premiered student work on the last night of the program. Rolando Herts, director of the Delta Center for Culture and Learning, partnered with the Lens Collective to provide a civil rights heritage tour of the area. 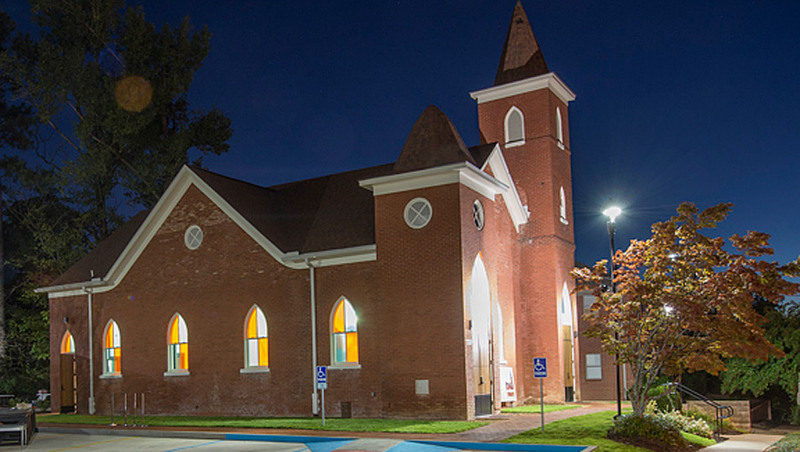 The educational tour included the Fannie Lou Hamer Memorial Garden in Ruleville, the historic black town of Mound Bayou, and a Mississippi Delta soul food experience at The Senator’s Place restaurant in Cleveland. Dr. Herts, Lee Aylward, and Sheila Winters of The Delta Center organized the tour and connected the Lens Collective with Delta residents whose stories were documented. This is also the second year the Meek School has partnered and will sponsor all other events. It was an opportunity for participants to build their resumes and portfolios. To see the Lens Collectives work, visit the website.